Honestly, this hostel was a perfect experience. The price for a 4-bed room here would be the same for an 8-bed room elsewhere in Europe, the staff were friendly, the atmosphere was really unique and cool, and everything was walking distance. I would certainly come back. Nice clean hostel, not much atmosphere though. 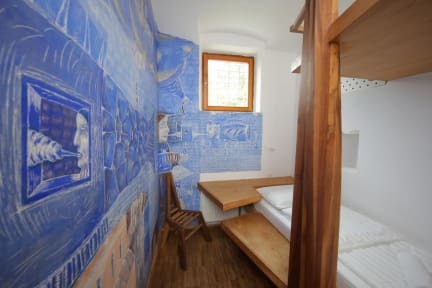 Unfortunately it's advertised as quite an arty decorated space, when it's actually only a couple of the private rooms and all the dorm rooms aren't decorated. 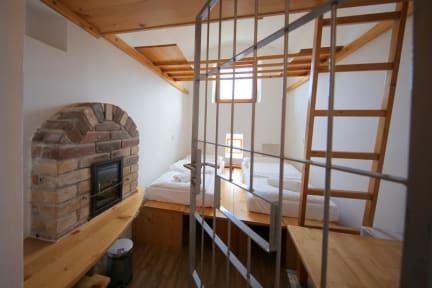 The room I had was on the top floor so my entire bed was under a sloped ceiling and I couldn't even sit up, which combined with a small room made the whole stay quite awkward. Good location, Ljubljana is beautiful!